Custom Mask series are genuine products brought to you exclusively by our artists and designers. These amazing designer masks are used by legions of competitive Airsoft players all over the world. Each mask is carefully hand-crafted and painted by master artists. 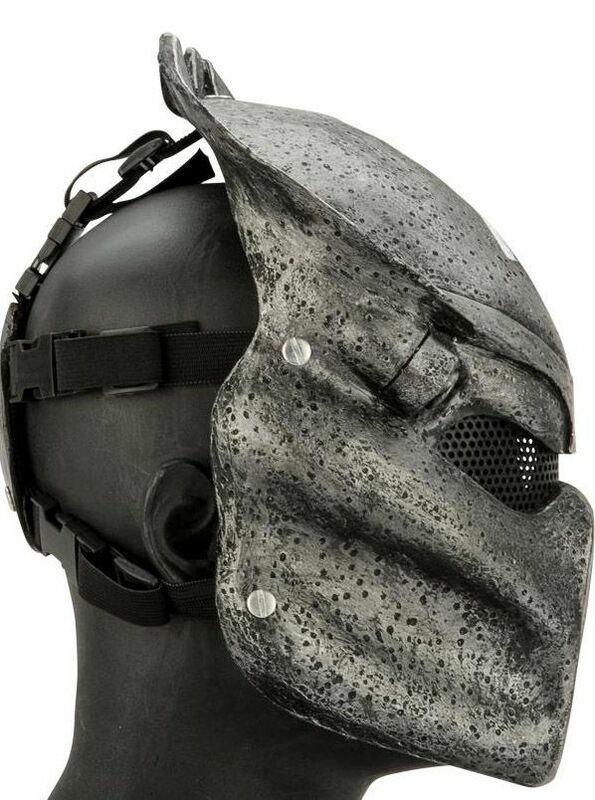 The Custom masks present both the world-class fine details of a collector's piece and high strength durability needed for various extreme sports and Airsoft skirmishes. Inspired by the latest trends, the Custom masks are crafted specifically to provide you the most intimidating presentation on the battlefield. Factory tested to withstand 500+ FPS Airsoft BB at zero range. 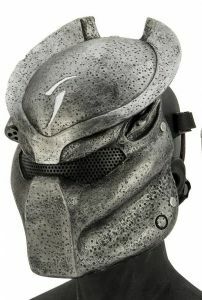 Low profile shooting safety goggles or glasses should be worn under the mask to achieve proper eye protection for Airsoft and paintball gaming.